Odaiba is one of Japan’s most well-known and popular artificial island. This man-made island was initially built in the 1850s for defensive purposes, however in the 20th century it has been expanded on as a seaport district. 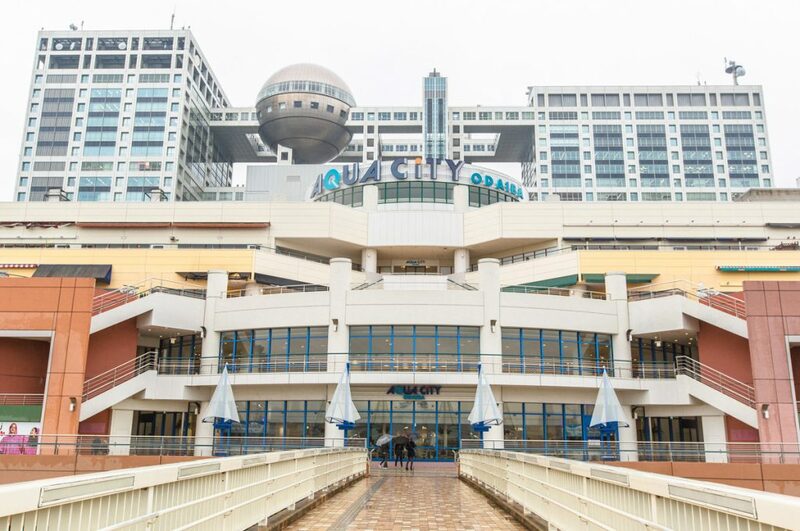 With these changes, Odaiba soon became a hotspot with its multiple shopping malls and entertainment districts. There are many things to do in Odaiba Japan, many tourists and young Japanese people go there for a fun day. There are theme parks, shopping malls, and even museums that you can go visit at Odaiba. With so many options we have put together a list of the 10 things to do in Odaiba Japan. Hopefully this list will help guide you around Odaiba Japan! By Train: There are several train lines that pass through Odaiba. 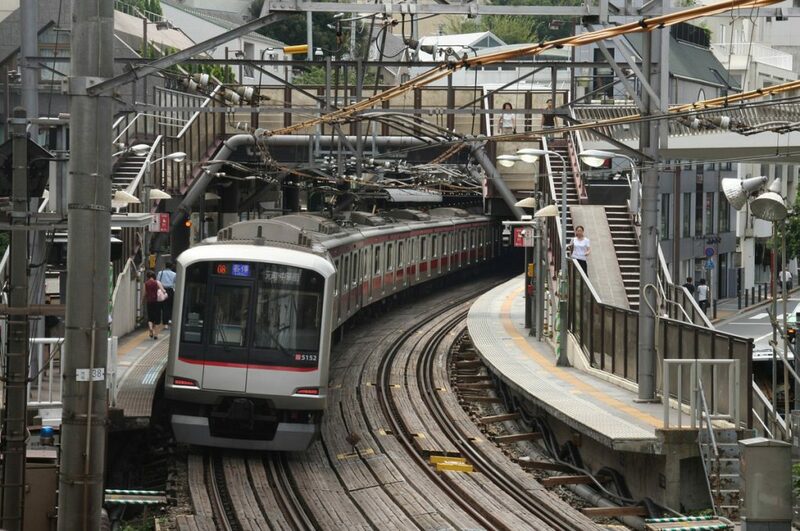 If you’re departing from Shinjuku, you can ride the Rinkai Line and get off at Tokyo Teleport Station. This ride takes around 25 minutes and costs 500 yen. If you’re departing from Tokyo Station, you can ride the Yamanote line to Shimbashi, then transfer to the Yurikamome line and get off at Daiba station. If you’re visiting Odaiba you must go see the Gundam Robot. A hotspot for otakus or Gundam fanatics, this “life-size” Gundam statue can always be expected to be surrounded by crowds of people. What is exciting however, is that in the year of 2017 the robot had been taken down and replaced with a newer model later that year. 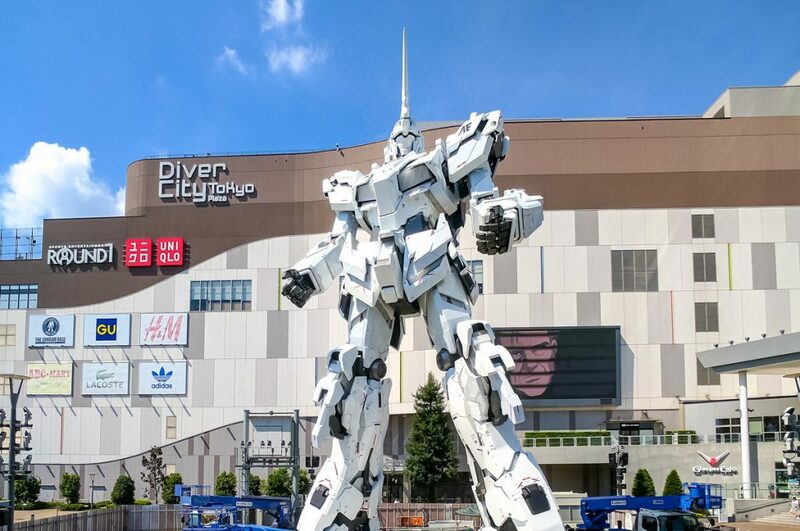 Now called the “Unicorn Gundam Statue”, this new model is a direct replica of RX-0 Unicorn Gundam with it’s white suit and iconic unicorn shaped antenna. 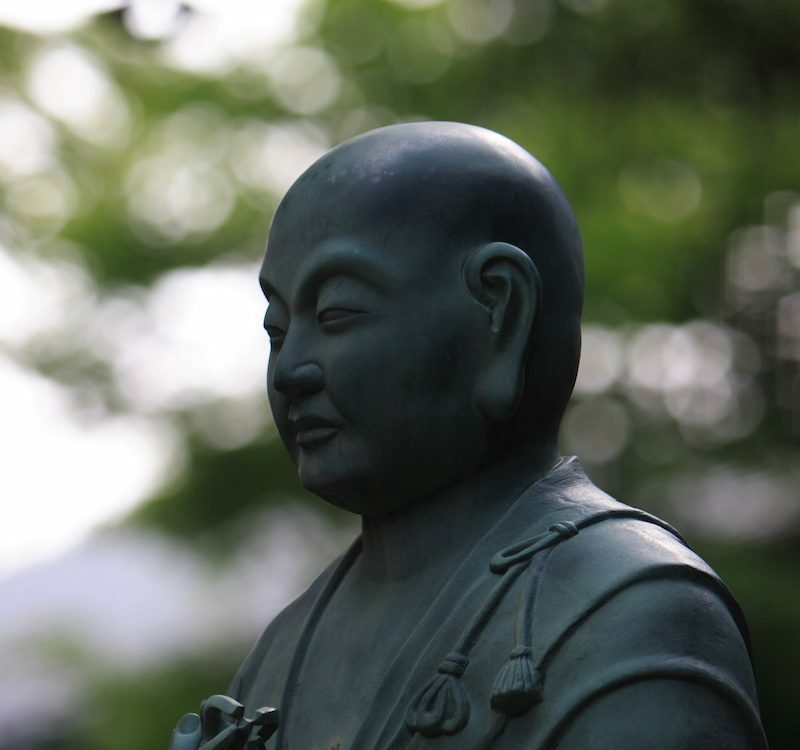 Many fans have expressed awe at the sight of this statue, which had garnered a lot of attention from people around the world. What’s also great about the Gundam Robot is that at certain times within the day there are little shows displaying the robot in its “destroy mode”. During these shows you can see certain parts of the statue move and light up. Many say it is best to go later in the evening or at night as you can see the lights flash, allowing you to take better pictures. However, no matter when you go, you won’t be disappointed to see the Gundam Robot at Odaiba. 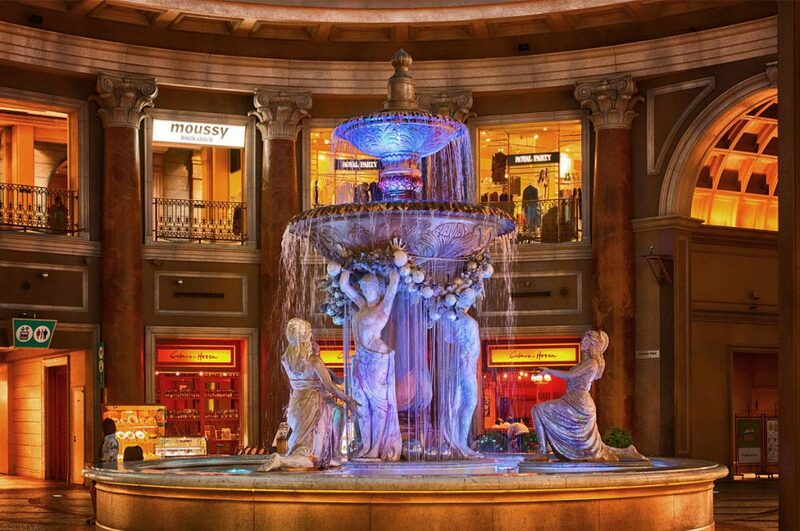 Aqua City is a shopping mall filled with multiple restaurants, boutiques, and stores. Whatever it is you’re looking for, you might find it here. If you’re one who likes watching movies, you might also consider watching a film at United Cinema, which is located on the 1st floor. This cinema has a special theater called “ScreenX” where the theater is composed of 3 screens, each one playing at the same time. What’s different about this kind of theater is that it makes the viewer feel like they are actually within the world before them, unlike 3D or 4D screenings. Also, within Aqua City is a small ramen area where you can find some of the best ramen from around Japan. This area is called “Tokyo Ramen Kokugikan Mai” and has 6 famous ramen restaurants in total. 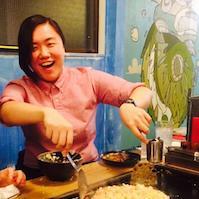 If you’re a ramen fanatic you might want to come and eat here! 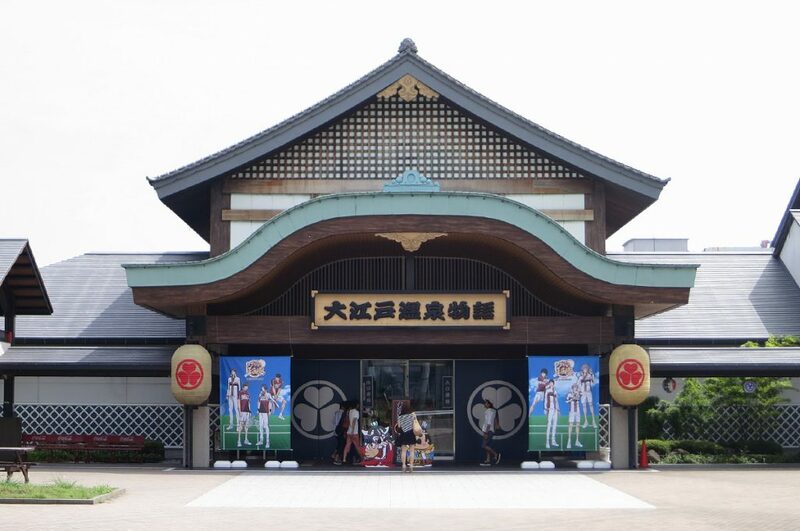 One of Odaiba’s most popular spots is the Oedo Onsen Monogatari. 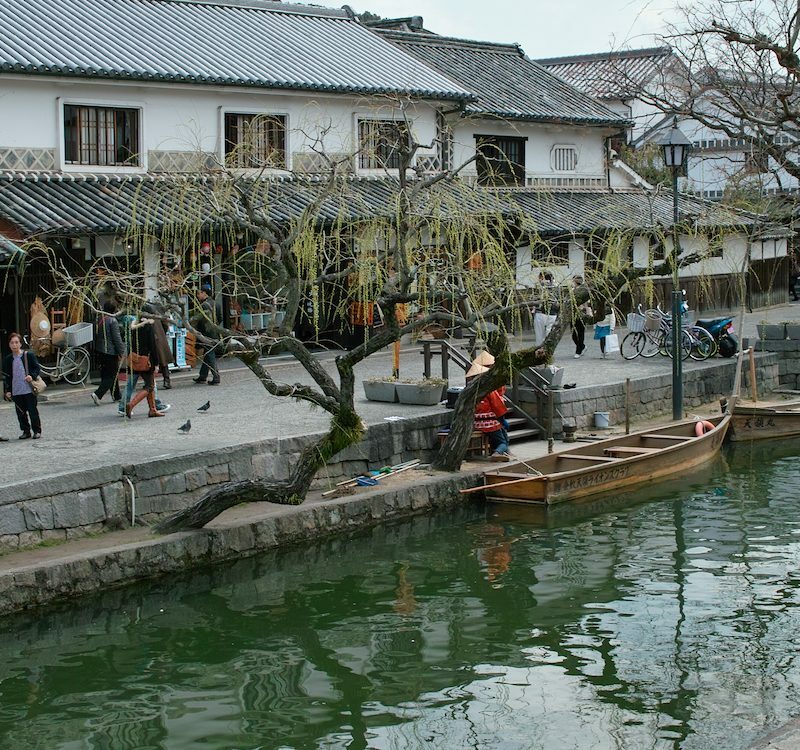 Opened in 2003, this special onsen has been built to offer visitors the atmosphere of the Edo period. With its architecture, baths, and other services, visitors can enjoy the many things Oedo Onsen Monogatari has to offer. For example, once inside, you will be able to wear Japanese traditional clothing called Yukata. 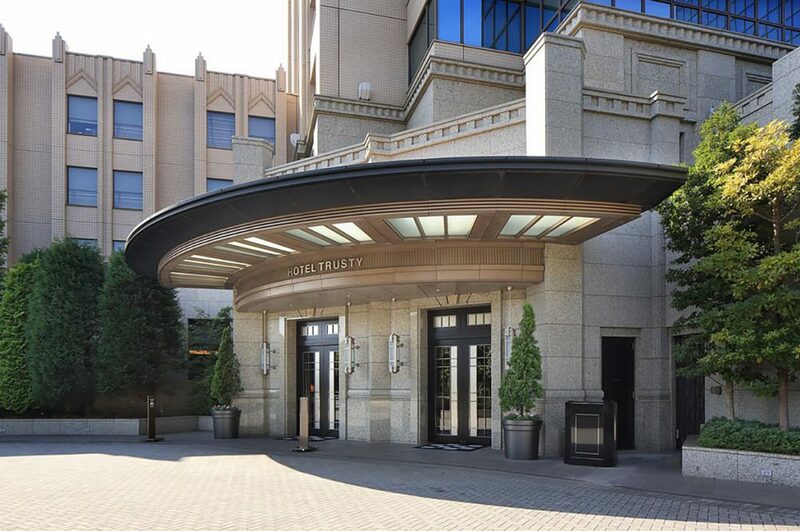 Inside you can also enjoy massages, Japanese games, and Japanese cuisine. Not only will you have fun here, but you can also relax in their special hot springs. 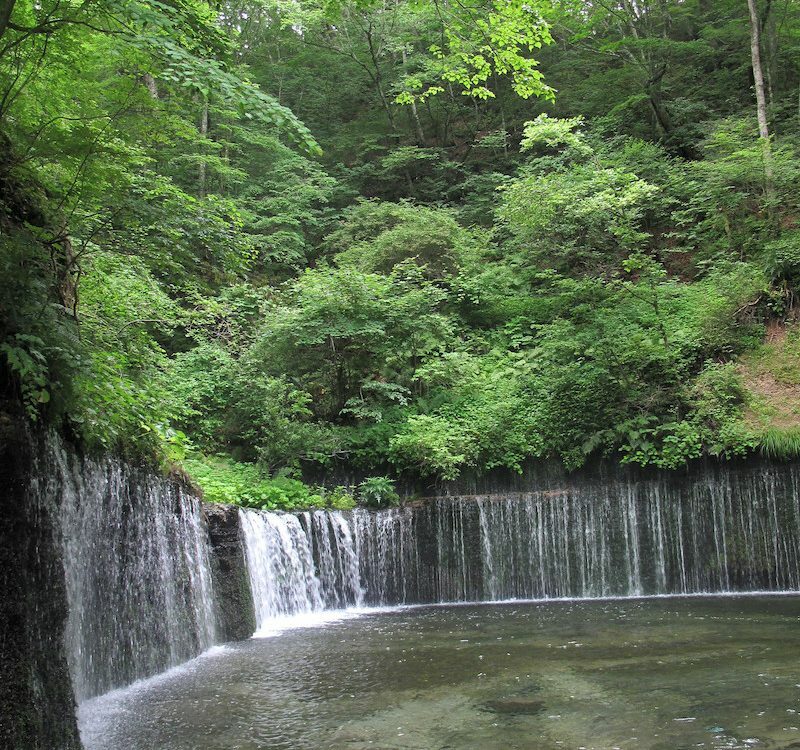 This is the perfect place to go to if you’re looking to experience a Japanese onsen without having to go far away from Tokyo. It is also a great way to unwind after a busy day around Odaiba. The Odaiba Seaside Park is a great spot for people to take in the view of the metropolis. Whether it is night or day, you can marvel the at sights offered from the park. Within the area you can also see the infamous miniature Statue of Liberty. 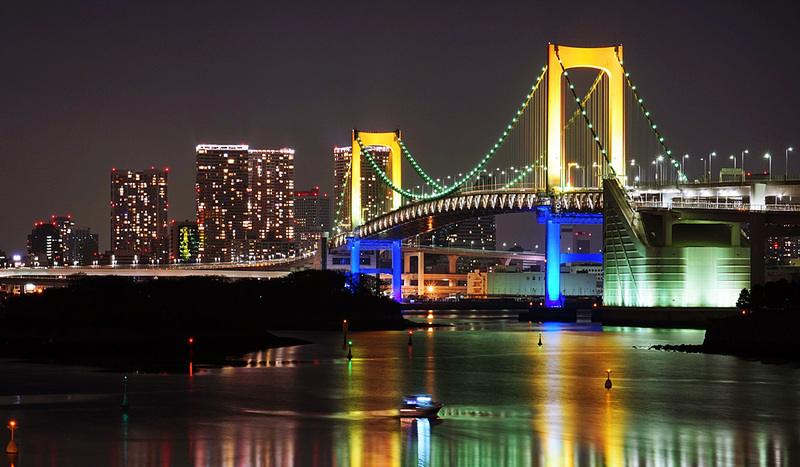 You can also see the beautiful Rainbow Bridge which lights up in multiple colors at night. It is also popular to visit the area in the evening as you can see the sun set behind the metropolis. You can see many people take pictures as the scenery offers a stunning background for any of your pictures. 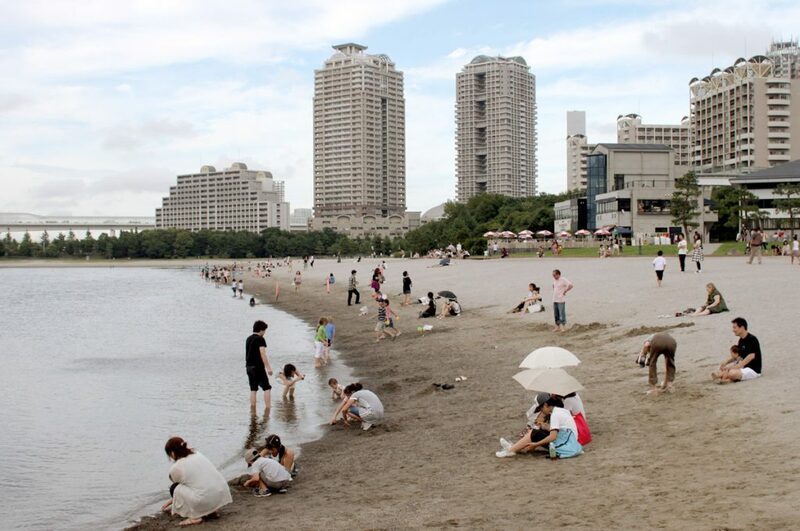 Along the park you can also enjoy a brisk walk on the Odaiba beach while taking in the scenery. Venus Fort is part of Odaiba’s Palette Town. This shopping mall offers visitors multiple shops, restaurants and cafes. The mall consists of 3 floors, each one filled with different stores. The special thing about Venus Fort however, is the architecture. This shopping mall was built to resemble a medieval European city. Hence, once inside, you might feel like you are not in Japan but in Europe. Another unique thing about Venus Fort is its ceiling. Its ceiling displays the cloudy sky within the building. As time goes by however, you can see it change in color from day to night. This is a mesmerizing sight as you can see the atmosphere of the mall change with the display. Venus Fort also offers different events during holidays or seasons. Make sure to check their website here to see if there is anything special going on at the mall. Decks is another shopping mall in Odaiba. 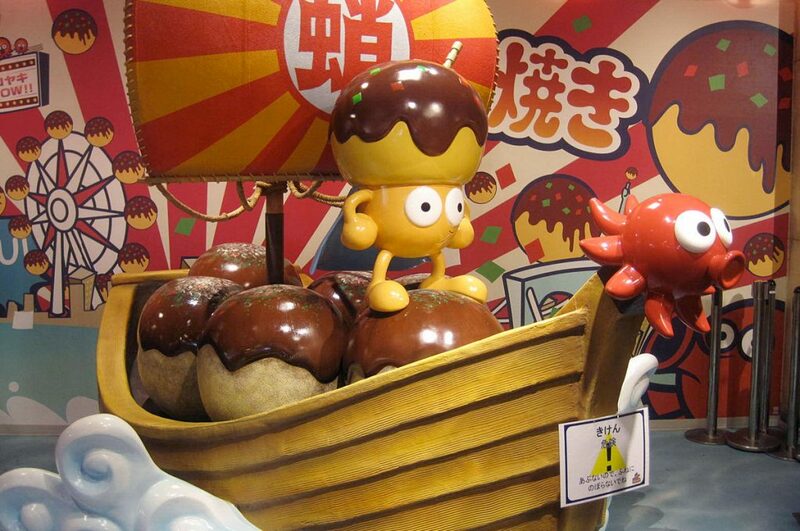 Although there are many stores inside, one of its most popular attractions is the Takoyaki Museum. The Takoyaki Museum consists of a total of 5 different takoyaki stands. Each one has its own special twist on the dish, offering different flavors and styles. Within the museum you can also shop for souvenirs, most relating to takoyaki. If you’re a fan of this food then we recommend that you visit this place as you can enjoy different kinds of takoyaki all under the same roof. 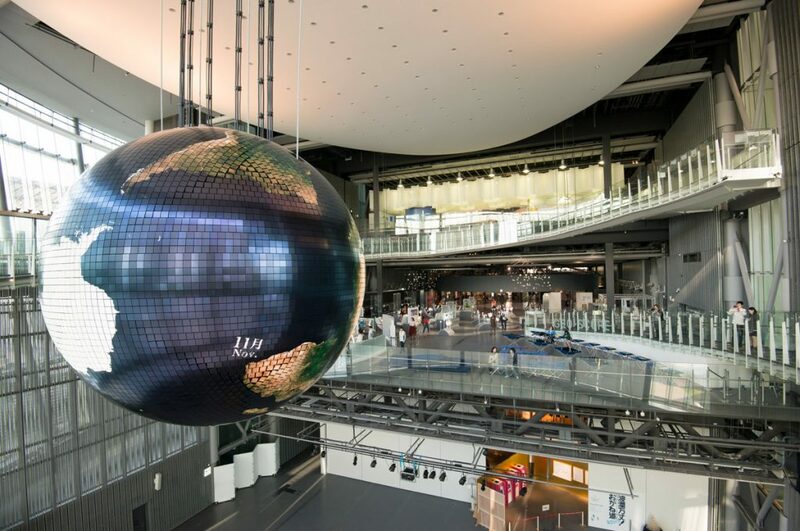 The Museum of Emerging Science and Innovation is the perfect display of Japan’s advancing technology. The unique thing about this particular museum is that it offers a lot of interactive displays. You can also witness ASIMO, a humanoid robot, in action at different times of the day. The museum also has a special theater called the Dome Theater. It is a spherical theater which shows different films, therefore we recommend checking their website here for schedules and ticket reservations. 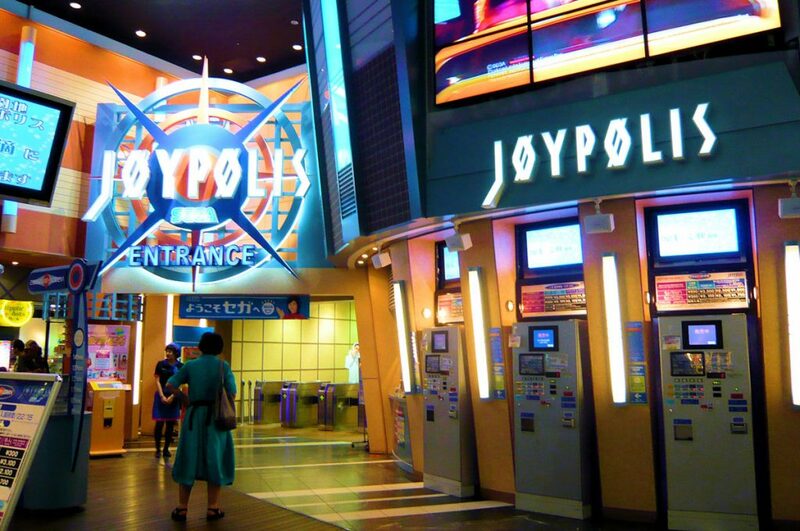 Tokyo Joypolis is an amusement park located inside Decks. You can enjoy multiple rides and games within the park, so if you enjoy crazy rides this is the place to go in Odaiba! They use a lot of 4D technology to give you a real life experience. Recently, they also added a VR interactive game, which you can enjoy with your friends or as a team. Due to this park being inside, it is the perfect destination to go to on a rainy day at Odaiba. Children are also welcome as there are games for children available at the park as well. Perhaps when you were a child you have memories of playing with Lego. 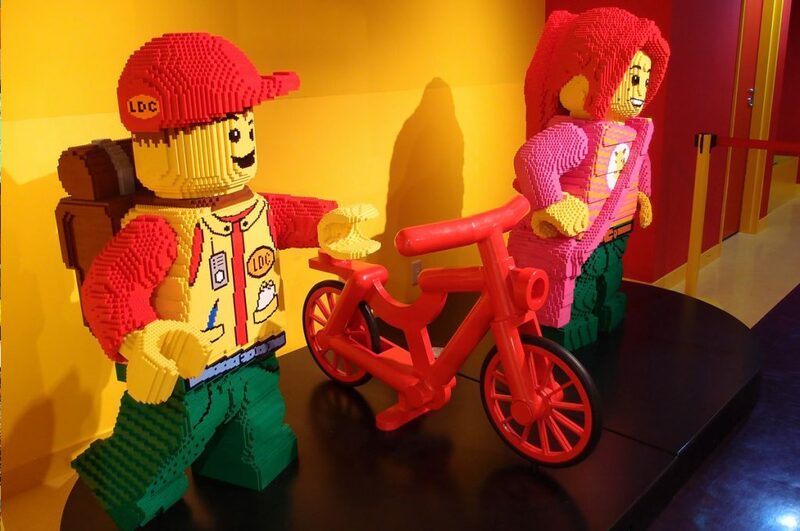 If you’re a fan of Lego or have children who are, then this is the perfect place to visit. This center not only offers you Lego to play with, but also has other attractions. They have a 4D cinema, rides, and a shooting game appropriate for children. You can enjoy the many activities this place has to offer with your friends or children on any day. 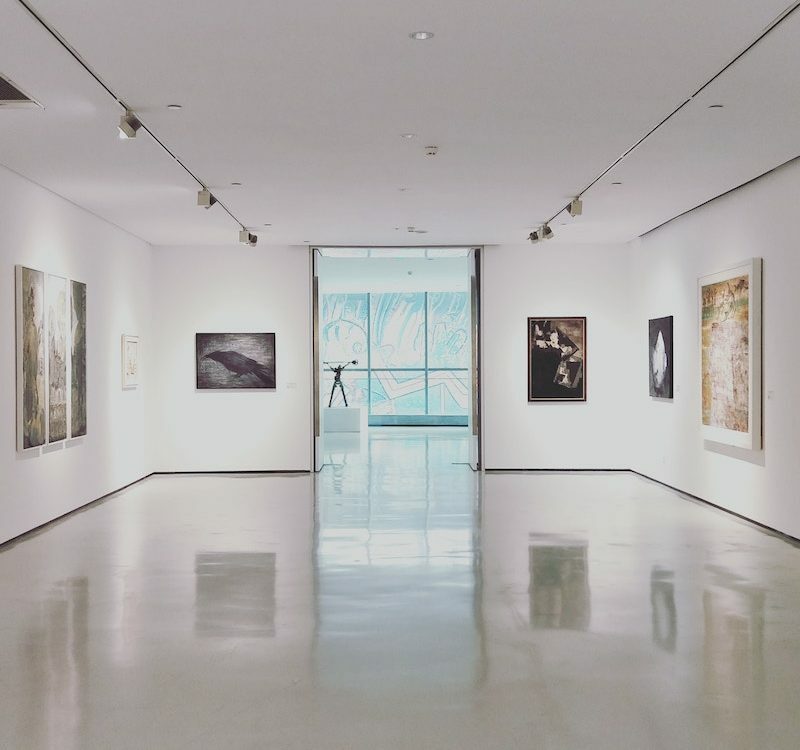 Thought this center is mainly catered towards kids, they also have a special event where they offer discounts to adults who wish to visit the place, so check out their website here to get the details! 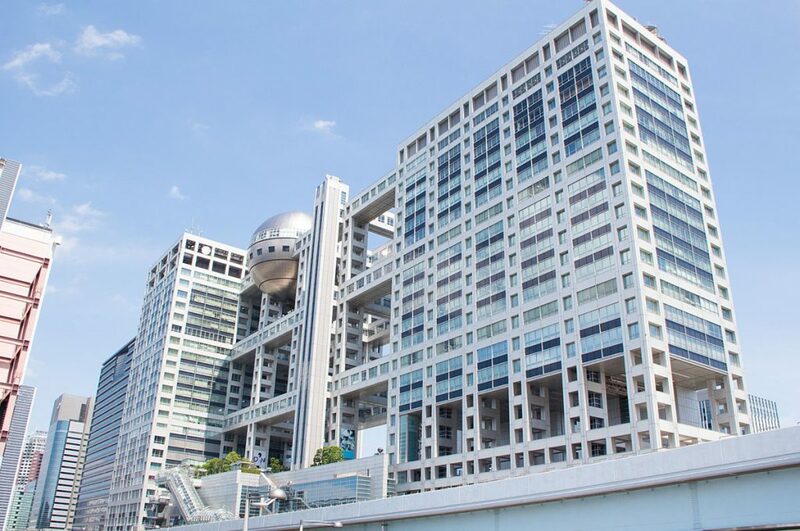 The “Hachitama” Spherical Observation Room is part of the infamous FujiTV building. If you wish to view Odaiba from above and get a beautiful picture of the whole area you should visit this place. 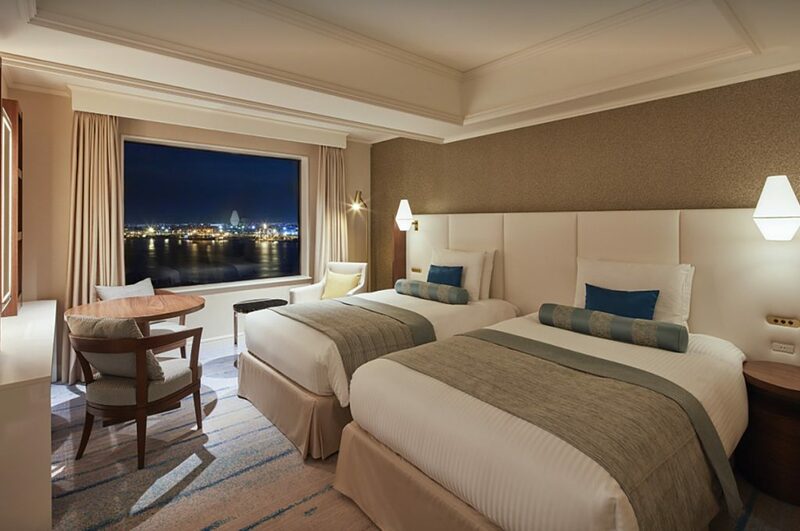 It not only offers a beautiful view of Odaiba from any angle, due to its 360 degree view, but you can also take pictures with the multiple displays inside the room. Since FujiTV is a Japanese broadcasting program, they have displays of different characters inside the room that you can enjoy. From here you can get a beautiful picture of the sea and the Rainbow Bridge. So there you have it! These are our selections of the 10 things to do in Odaiba Japan. 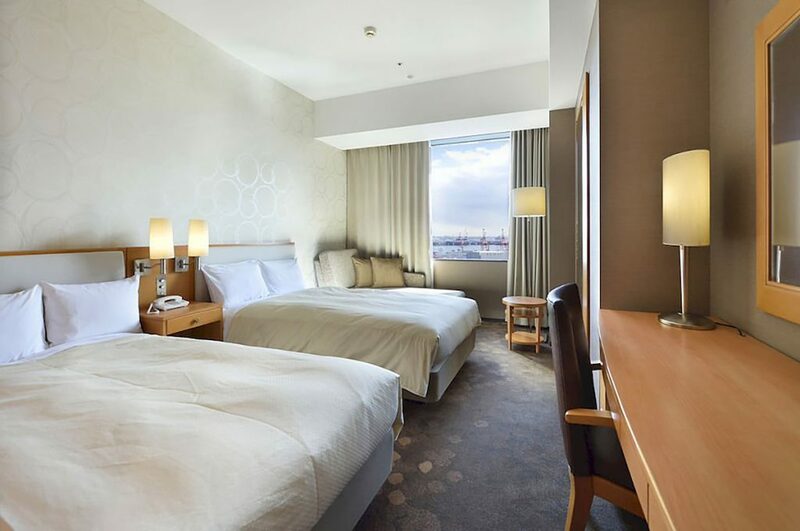 As you can see, Odaiba has a lot to offer with its multiple shopping malls and entertainment centers. You can also enjoy the area without being concerned so much about the weather as many of the activities are held indoors. If you have children, there also many activities you can enjoy as many are catered to kids. 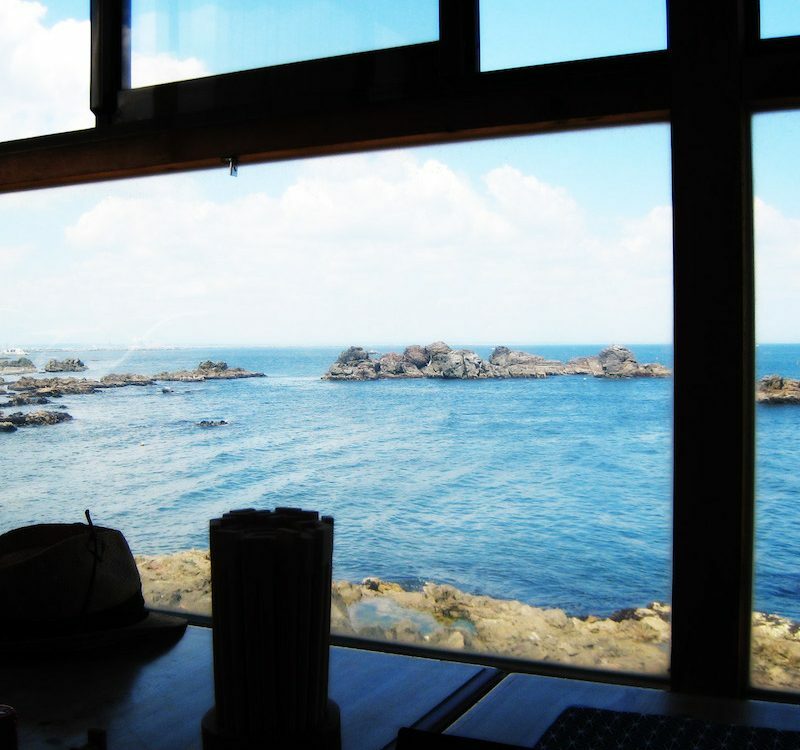 This man-made island, which was once desolate, now, as you can see, has been filled with multiple attractions and has become a hotspot for tourists and Japanese people. If you get the chance to visit Odaiba make sure to visit the spots listed here! 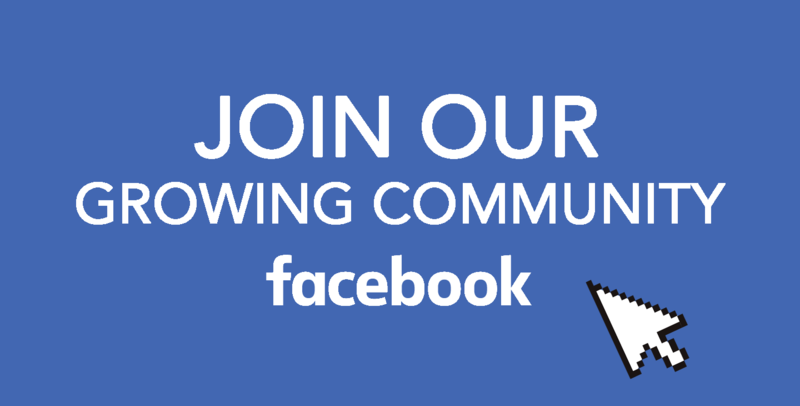 Join our Facebook group to share your Odaiba experience. 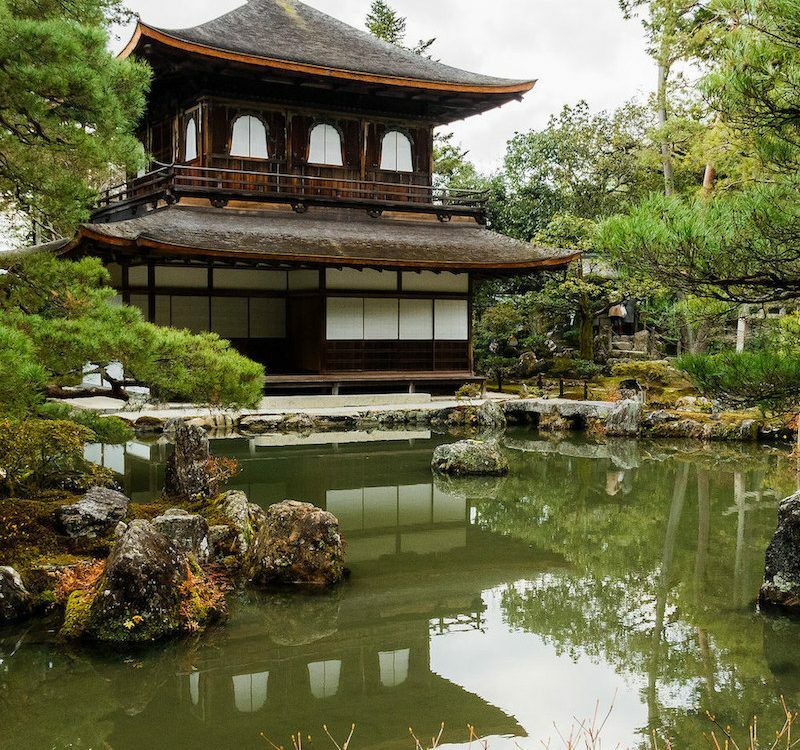 Be sure to follow us on Facebook, Instagram, and Pinterest for the most fun articles about Japan!